Russia’s Novatek Gas & Power has supplied its first ever cargo of liquefied natural gas, marking the company’s first step into global LNG trading business. The cargo was sourced from Trinidad & Tobago’s LNG plant in Point Fortin and delivered to the Quintero import terminal in Chile. Deputy Chairman of Management Board - Commercial Director of NOVATEK Lev Feodosyev noted: “This first LNG cargo is an important milestone for NOVATEK to enter the global LNG market." He added: "After the launch of the first train of the Yamal LNG project we will enter the LNG market with our own volumes, and gaining spot trading experience is important for us”. 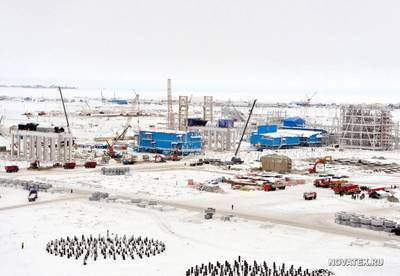 Novatek is the operator of the US$27 billion Yamal LNG project in the Arctic which is expected to produce 16.5 mtpa of LNG at full buildout. The first cargo from Yamal LNG’s first train is scheduled to be shipped during the second quarter of 2017.